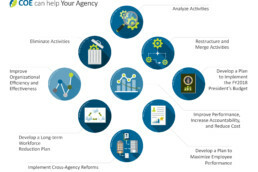 Seven Things About Agency Reform You Need to Know – The Center for Organizational Excellence, Inc. There is a lot going on in the government transformation and reform space and it’s tempting to close your eyes and wait until the dust clears to open them. We thought it might be helpful to point you to the good stuff that affects how you think about upcoming changes and how you prepare for the challenges. 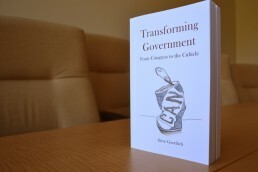 COE has made government transformation our mission for over thirty years. Our experience sorting through the many voices speaking out in the name of more efficient and effective government makes us confident that these seven items are worth your time (full disclosure: one article was written by our CEO, Steve Goodrich, but we think you’ll agree that it’s pretty good!). Our next update will include a short survey to find out what reform topics interest you most and where the biggest gaps are in terms of strategy development and execution. To borrow an old adage, agency reform isn’t going to be easy (or quick), but it sure beats the alternative. Stay tuned and we’ll keep you up-to-date with everything you need to know. For more news and events around Agency Reform, visit our website. Please, share your feedback and ideas for future e-newsletters with us at agencyreform@center4oe.com. 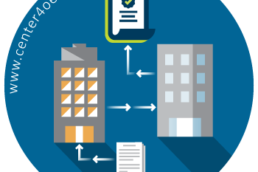 OPM is responsible for the policies and strategies that form the federal workforce. And the federal workforce is the essential element required to transform agencies to be more efficient, effective, and accountable. Which means that now is the time for OPM to challenge the status quo inside and outside the agency, to innovate and iterate, and to use technology not just to predict the future, but to define it. This article tells you what you need to know about bold changes at OPM and the possibility for the agency to achieve real success in paving the way to lasting change. So often in government, performance is measured in terms of not failing rather than exceeding expectations. 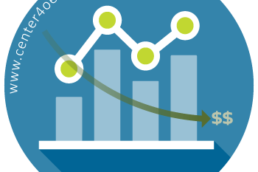 We need to reorient our metrics for success to line up with the desire for better outcomes. 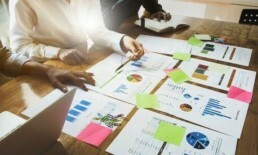 Increasing the use of analytics, improving data literacy in leaders, and opening up communication and decision-making channels to define clear goals and benchmarks yields lasting improvements. This article establishes guideposts towards building a work environment where employees understand they are expected to address problems, not maintain the status quo. This article is for you if your agency is trying to figure out how to make technology decisions that truly contribute to improving mission execution and – even more challenging – how to pay for these new digital initiatives. 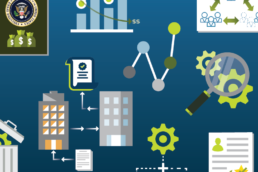 It shares insights from leaders at fourteen agencies that will help you think about the scope, feasibility, and impact of going digital as well as ideas and data points for building a solid business case. Meta message from roundtable participants: Technology is the easy part. Agency transformation starts with people. What makes it last is a cohesive, bought-in organization. Agency leaders at every level understand that their people are the key to improving performance and reducing costs. However, if you are focusing on workforce planning and closing skills gaps to succeed with reform efforts, you may be missing the boat. According to Harvard Business Review, it isn’t enough to build a workforce capable of implementing reform strategies. 76% of your reform efforts are still going to fail if employees are not helping to identify the reform strategies to start with. 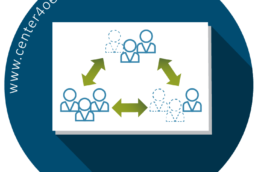 Read this article to learn more about a participative approach to transformation strategy, which postulates that to remain relevant, the strategy at least in part has to be shaped by the people who are needed to execute. Operating efficiently and effectively requires, at a minimum, that you have staff with access to the systems and spaces needed to get the job done. If you haven’t been following the news about changes to how security clearances get done and you are thinking about onboarding new resources, you might be in for a bit of a shock come January. 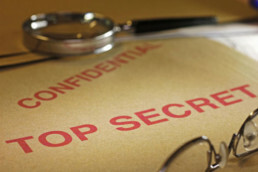 If the President signs the National Defense Authorization Act (93% probability), 75 percent of federal security clearance work will be moving to DoD as soon as the beginning of the year. This has significant implications for the resources available to do non-DoD clearances and is an open question re: DoD’s ability to be more efficient than OPM’s National Background Investigations Board (NBIB). Federal News Radio has a great series of articles about what’s going on if you want a better understanding of how you might be impacted. 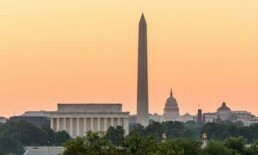 The Foundations for Evidence-Based Policymaking Act, which unanimously passed the House earlier this month is the latest in a series of legislative and presidential mandates requiring agencies to get better at using data to inform decisions and improve agency performance. And while using evidence to measure outcomes is exactly right for assessing effectiveness, there is a fatal flaw inherent in using it to inform policy. Linda Springer, arguably the architect of the current Agency Reform initiative, does a great job of demonstrating that the evidence-based approach optimizes current operations, but does not inform the future. 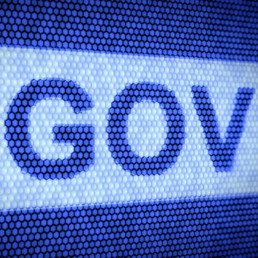 Anybody interested in achieving long-term success should read this article about using data for predictive analysis, forecasting, and creating dynamic service models to advance government into the future. If you are a senior leader in the federal government and you are not planning to attend the Presidential Rank Awards Leadership Summit on December 7th (next week! ), you are missing a terrific opportunity. The event, which is free to members and only $100 for non-member feds, is a chance to network, dialogue, and get ideas for effectively leading a team or organization through a successful transformation effort. COE’s very own Steve Goodrich is chairing an agency reform panel with leaders from the US Air Force, Social Security, DHS, and HHS, who will share updates about their efforts and discuss the requirements for true, lasting reform. More about the event: https://seniorexecs.org. Check out more INSIGHTS on Agency Reform! Agency Reform: A quick fix or sustainable change?